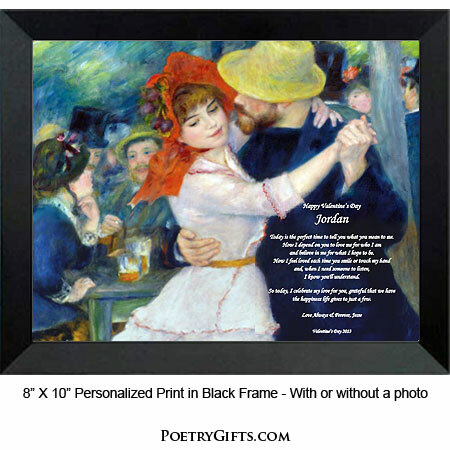 This Valentine's Day ask your husband, wife, boyfriend or girlfriend to "Be My Valentine" with this beautiful detailed print of impressionist Renoir's painting. 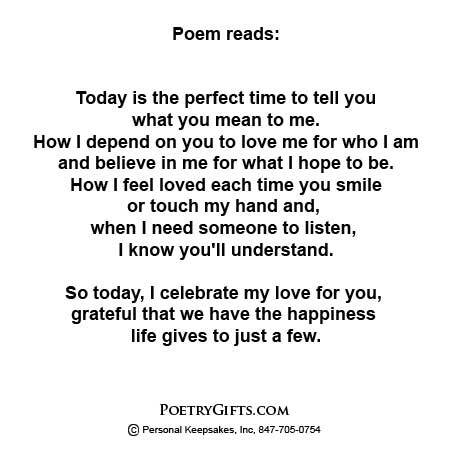 This poem and attractive design is the perfect Valentine's Day gift because the poem lets your Special Someone know what they mean to you. 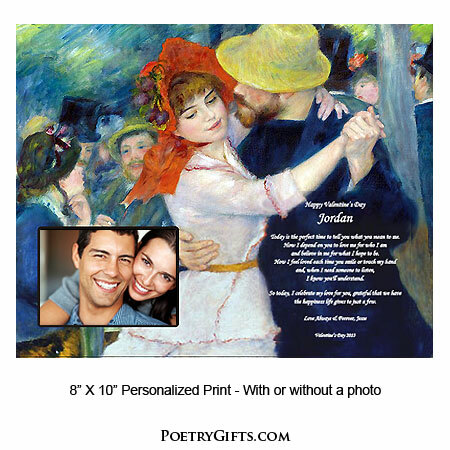 Personalize the poem with names and date to make this an extra special Valentine present for your soulmate. There's also room for a favorite photo of you and your love. Here's your chance to let the one you love know how happy you are to have them in your life. This very special Valentine's Day gift will surely touch the heart of your spouse, boyfriend or girlfriend. 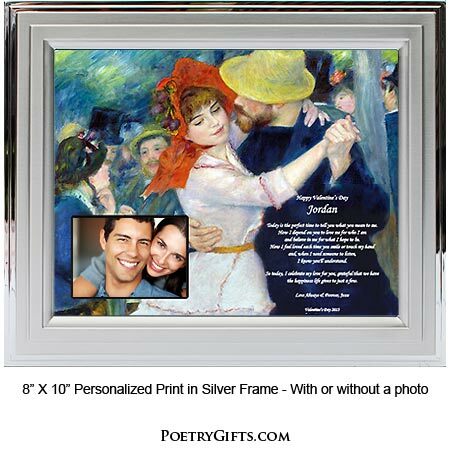 The lovely Renoir design and personalized heartfelt poem makes a lasting and memorable Valentine keepsake that even Cupid would approve of. Frame this beautiful print in your favorite 8" x 10" picture frame or choose one of our contemporary frames. (19.95 is the unframed price) on ordering this unique Christmas gift. 4. Closing Phrase and Your Name (as seen after poem) - (Examples: Love Always, Sam; Forever your Valentine, Nicole; etc.)" gave to my wife, she couldn't believe i bought such a sentimental gift! Thanks for the fast delivery...you saved me!